Retouching is a tiresome process. It is time consuming and also one of the most essential image editing techniques. Regarding the necessity and usefulness, this photo editing process is costlier too. Nevertheless, it is the most celebrated Photoshop image editing work that can make an ordinary photo stunning and commercially potential. 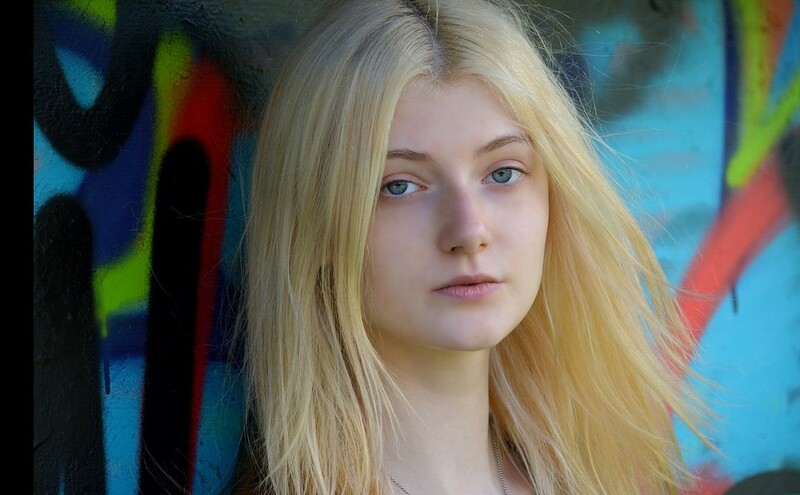 This image enhancing method is widely used for skin retouching, model photo retouching, high end beauty retouching, digital makeover services, photo restoration, glamour retouching, portrait retouching, and many other purposes. However, this tiresome and time consuming retouching work can be completed just by one click. Photoshop offers us the option of using Photoshop action which is the recording of the previous same type of work. You can create this photoshop photo retouching action by yourself and when it needs, you can apply it to your same type of projects. It will lessen at least 50% of your total work time. Once we decide to create a Photoshop photo retouching action, we at first need to open Photoshop. 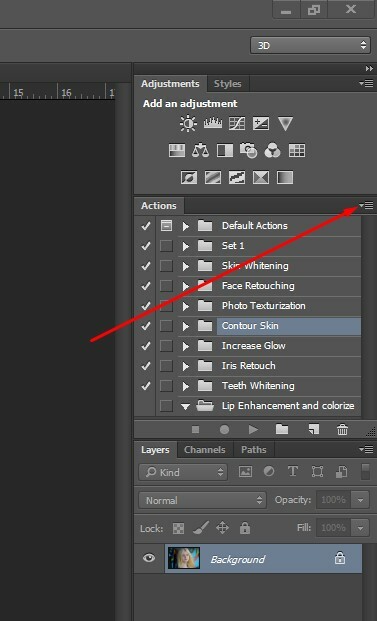 We notice that there is no action palette at the right side of Photoshop Interface. So, we go to Windows option from the Top of Photoshop and we click on it. We get a dropdown dialogue box and click on the Action to get Action and History panel at the right. See the below two images and surely you can understand better. Actually Photoshop Action is a recording of series of steps that we do during image editing in Photoshop. So, to record our working steps and to create photo retouching actions, here we’ve opened a model’s photo. 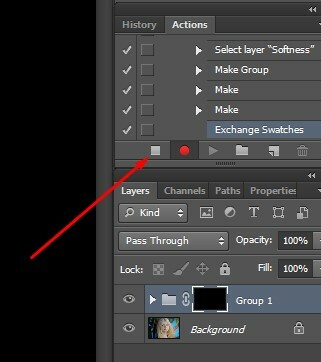 We need to go to Action panel and click on Set Icon (Set Icon is like Folder Icon) to create a New Set over there. 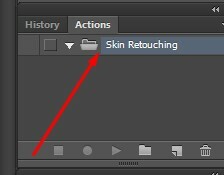 We’ll get a box, just name it “Skin Retouching” as now we are going to show you how to create photoshop skin retouching action and click on OK to have folder inside the panel. Having new Set which is almost like Folder, we go to create new action. So, we click on the Create New Action icon just right of the New Set Icon. 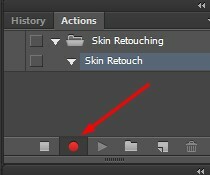 We get a new dialogue box where we name the action as Skin Retouch and finally, click on Record to allow recording our photoshop skin retouching steps. Don’t worry, it will not record your speeches, but tasks done in Photoshop. Look at the below attachments. However, now let’s go to the main point. As we want to create a photo retouching action, we duplicate the model image that we have already opened in Photoshop and name it softness. Clicking right button from the mouse, we make the layer Smart Object and then go to Filter => Other => High Pass and as there are numerous spots on the model face, we keep less points of High pass. Now, select Linear Light from the Blending Mode Option and keep it as it is so far. Next, we duplicate the main layer once again and name it details. We again convert layer to Smart Object by right click from the mouse. Then, we go to Filter => Blur => Gaussian Blur. We increase the points of Gaussian Blur as needed and move the Detail layer on top of Softness layer. 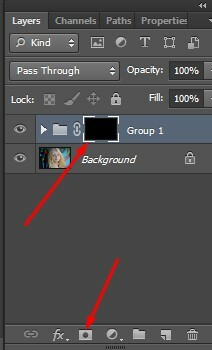 And now, make a group of these two layers by pressing Ctrl or CMD + G.
This is time for masking. 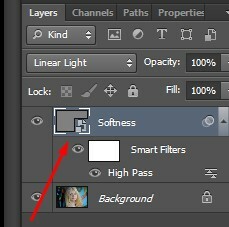 Click on the Add Layer Mask pressing Alt to get a converted black layer mask. See the below snapshot. Check whether the foreground color is white and then take the soft Brush tool and keep painting over the model face where it is necessary. However, have you forgotten that you stated to record our series steps of retouching as Action? No, problem. Now it is time to stop that recording. 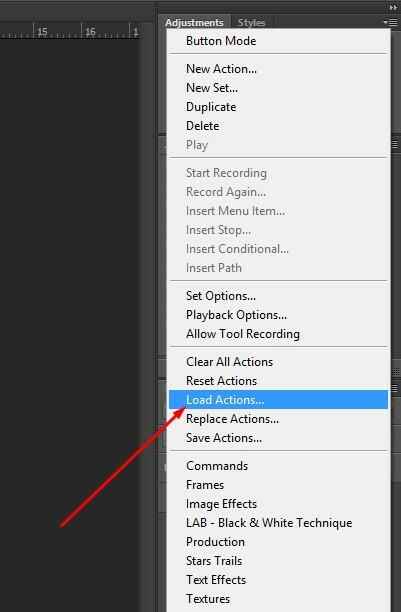 Look at the below snapshot and click on the square shape icon to stop the recording. So far the steps are same to retouch skin in case of all the images. So, you can use this action in all the images, but the painting by Brush can be different. So, painting may not work if you create Action of the painting step. You have to do the time manual work. However, the action we created in the meantime will lessen at least 50% of your total photo retouching time. Now, we are painting over our model photo. We zoom the image as we need. The below images are the before and after images. Lip Retouching: We have created Lip retouching Photoshop Action with a little bit of different way as we mentioned in the method of Skin retouching. Here, we set Hue/Saturation color that we like for our model. You can change this color after loading the action. Just play the action and work on the Hue/Saturation steps as it is seen in the Layer palette. However, model photo retouching is pretty much difficult task. So, only experienced professionals or advanced learners can understand the action making procedure, loading and applying method or even the process of painting using brush paint tool. Eye Retouching: Eye retouching is an important work for making a model image stunning and outstanding. It is said that eyes speak of mind. So, eyes must be awesome. This action will give you good looking and engaging eyes. It will help you to make the eye-balls brighter and the white parts of eyes looks whiter. To get stunning eyes, you have to load this action, play, and then paint over eyes using Brush tool. However, the below image shows the result of this action. 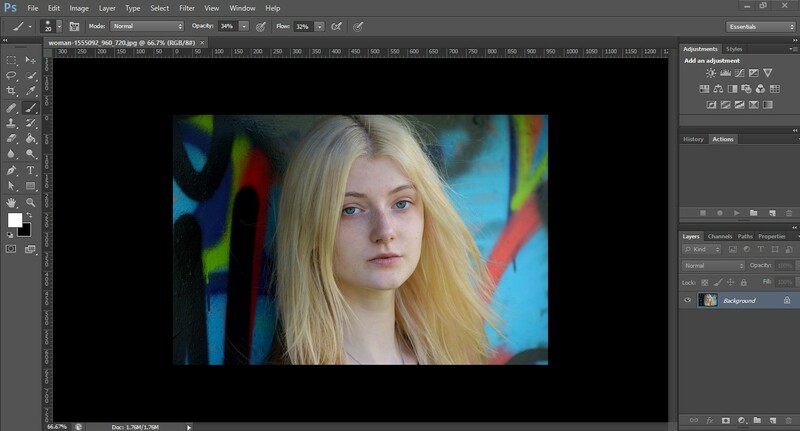 How to Load Action: For having stunning and beautiful images, you can apply photoshop retouching action of your own. But, sometimes you may need to use others’ action. 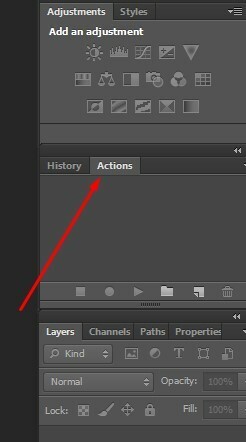 So you have to know how to load action in photoshop. 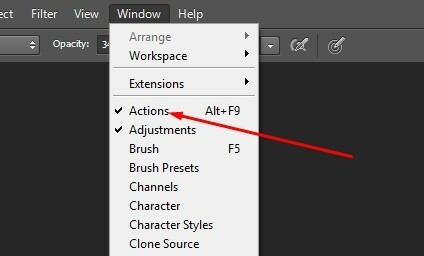  To do that opening your images in Photoshop go to minimized dropdown menu from the right sidebar as the following shows.  Then click on the Load Actions and choose the action you want to upload. This is the actual process of loading action you can follow. See the image below. However, this tutorial content will make you capable to create your own photo retouching action in Photoshop as well as it will teach you how to apply the action. You can produce high professional model photos for commercial purpose using this action. We have shared this action as free. You can download it from our collection and apply on your images to make them stunning. We work further more. We are Color Experts International, Inc. have been providing all types of high end quality image editing services all over the world. Our key services are photo background removing, clipping path, photo restoration, color correction, image masking, neck joint or ghost mannequin, raster to vector conversion service, logo design, creative image manipulation, and many more. We have in-house production unit that is using latest tools and gears to provide best output. We are offering these services to our global clients with full quality at the best prices. We provide discount on bulk order. If you are interested and if you need any of these services, contact us or send request a quote. To judge our service quality, you can take our free trial service.